The Christmas Tree Tour stopped in Thompson Falls, Mont. 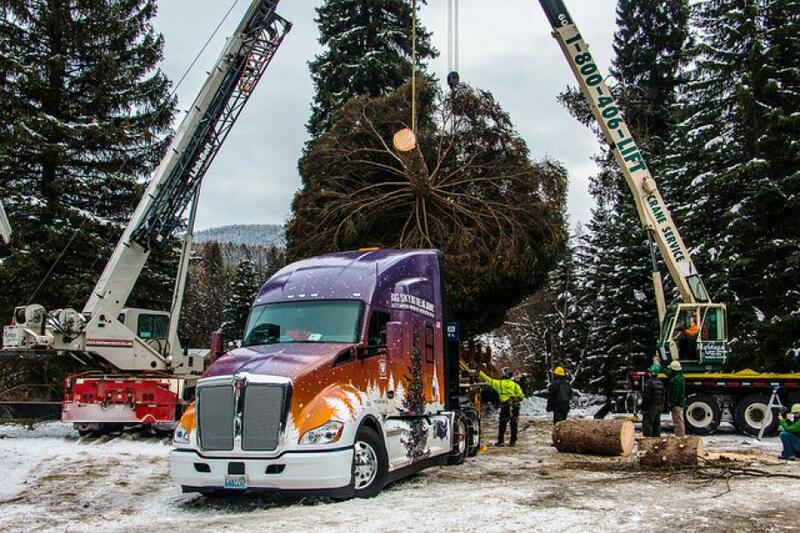 Weeks before the U.S. Forest Service announced the choice of owner-operator Larry Spiekermeier and Whitewood Transport to transport the 2017 U.S. Capitol Christmas Tree, Spiekermeier knew he and his company were strong contenders. Choose Outdoors, the non-profit partner that assists the U.S. Forest Service with coordinating the annual tour, announced in May the choice of Spiekermeier and Whitewood Transport to haul the 79-ft. Englemann Spruce nearly 3,500 miles from the Kootenai National Forest in northwestern Montana to the U.S. Capitol. Local Kenworth dealer Motor Power Equipment and the Motor Carriers of Montana strongly recommended Spiekermeier, who is a two-time Motor Carriers of Montana driver of the year. And Whitewood Transport – the Billings, Montana-based heavy-haul and specialized equipment carrier to which he's been contracted for 20 years – is a multiple-year recipient of carrier of the year awards and the Great West fleet safety awards from the same Montana carrier association. 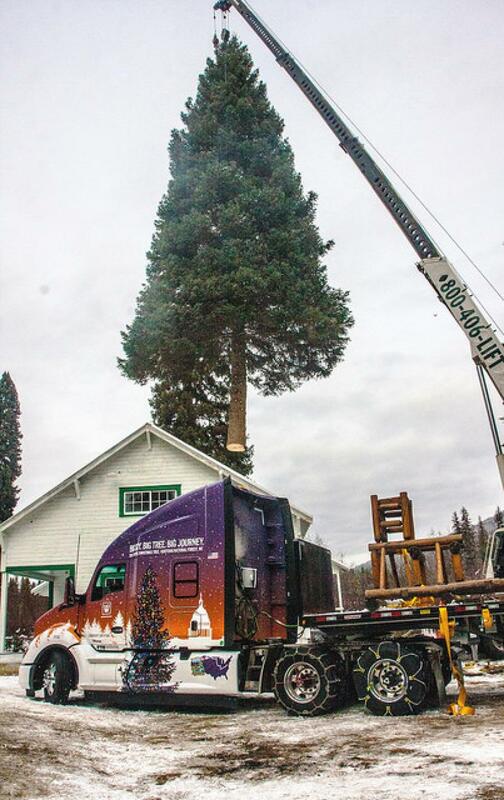 Following the harvesting of the tree on Nov. 7, Spiekermeier delivered the tree to a warehouse in Libby, Mont., where it was wrapped and placed in a box equipped with an 80-gal. water bladder to keep the tree hydrated during its trip. The box was then loaded on to a specially designed trailer that will carry it. 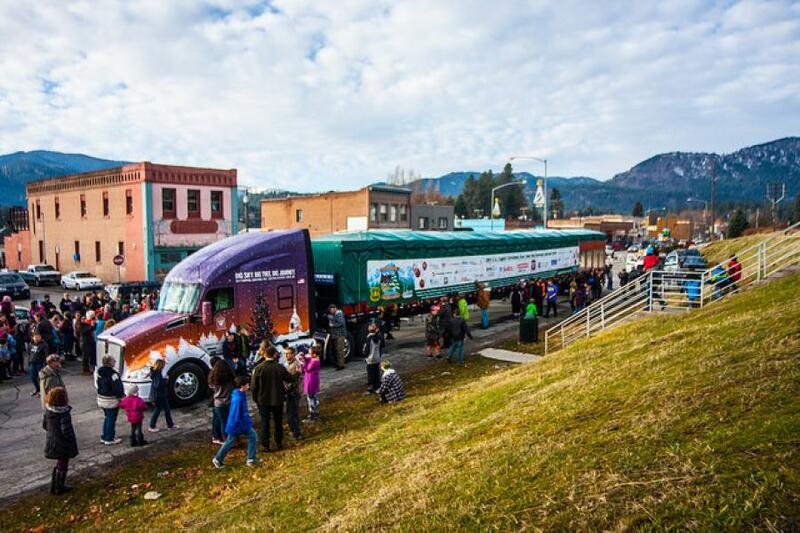 The tour's first 14 stops were in various communities across Montana before leaving the Big Sky State on Saturday, Nov. 18. The tour continues with seven stops in North Dakota, Minnesota, Missouri, and Kentucky, before Thanksgiving. Its last stop is Joint Base Andrews on Sunday, Nov. 26, before the tree is unloaded and unwrapped for its final journey to the West Lawn of the U.S. Capitol on Monday, Nov. 27. While he's never driven an over-the-road truck with an automatic transmission before, Spiekermeier said he's been duly impressed with the 12-speed PACCAR automatic transmission that was provided by Kenworth for this special haul. “The only trucks I have driven with automatic transmissions are big mining trucks,” Spiekermeier added. “So, I wasn't sure what to expect. But I can tell you the T680 with its PACCAR MX-13 engine and 12-speed PACCAR transmission provides plenty of power and shifts smoothly. And it's so quiet inside, my wife and I couldn't hear any road noise. It's like driving a luxury car. And I like the fact that my shoulder isn't sore at the end of the day. 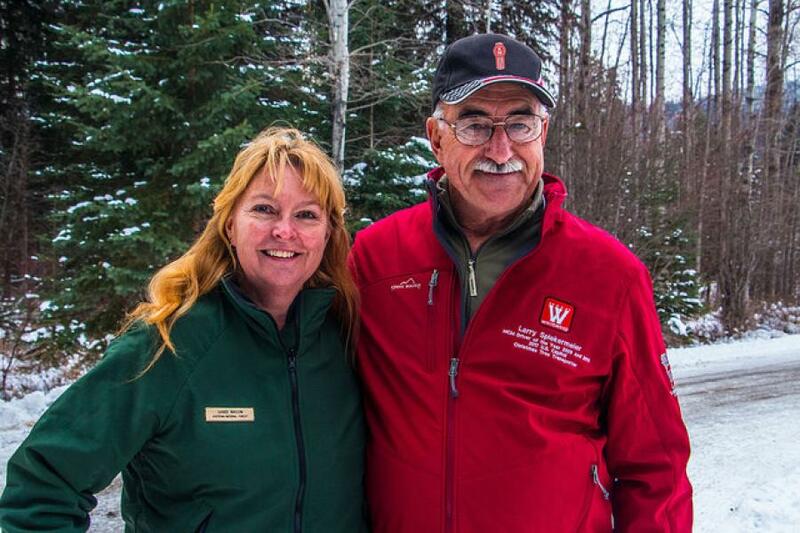 Spiekermeier's wife, Mary Ann, accompanied him as far as Grand Forks, North Dakota, and then Brad Wilson joined him and will ride alongside as far as West Virginia. After delivering the tree, Spiekermeier said he plans to stay in Washington D.C. and tour the capital until the tree lighting ceremont on Dec. 6. Taking the company's best driver out of production and having him deliver the U.S. Capitol Christmas Tree has presented some challenges, noted Wilson. Still, he sees the effort as a great opportunity to showcase his company and the industry and to attract young people to driving careers. Plus, Kenworth trucks are a huge hit not only with the Wilsons, but also with many of the company's owner-operators. KentuckyKenworthKenworth T680MinnesotaMissouriMontanaMontana North DakotaU.S. Forest ServiceWashington D.C.
Kentucky Kenworth Kenworth T680 Minnesota Missouri Montana Montana North Dakota U.S. Forest Service Washington D.C.